Build a boat in a day at the North Carolina Maritime Museum. Each adult and child team uses the stitch-and-glue technique to assemble a prepared kit for a small flat-bottomed plywood boat suitable for rowing or paddling. The boat is 7’ 10” long, 32” wide, and weighs about 40 pounds. By the end of the class each boat will be completed to a watertight condition and clear-coated with epoxy. Detail finishing and painting is the responsibility of team members and may not be undertaken in the Watercraft Center. Teams are limited to a maximum of 4 persons, at least one of whom must be an adult. The minimum age limit for this class only is 8 years. 6 hours (1 day class). The next class is on August 16, 2014 from 9 a.m. to 4:30 p.m. Class Fee: $300 per team. 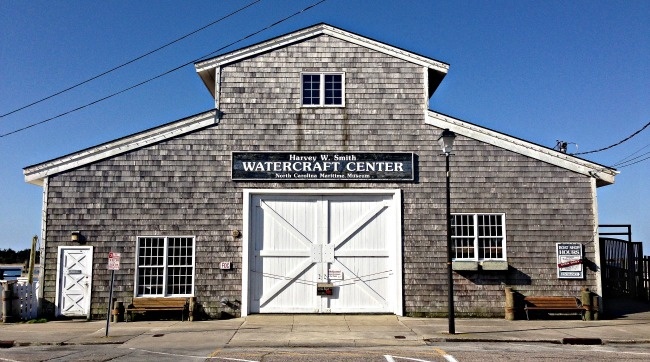 Friends of the Maritime Museum receive a discount. Reservations required. The last additional class date in 2014 is September 20.